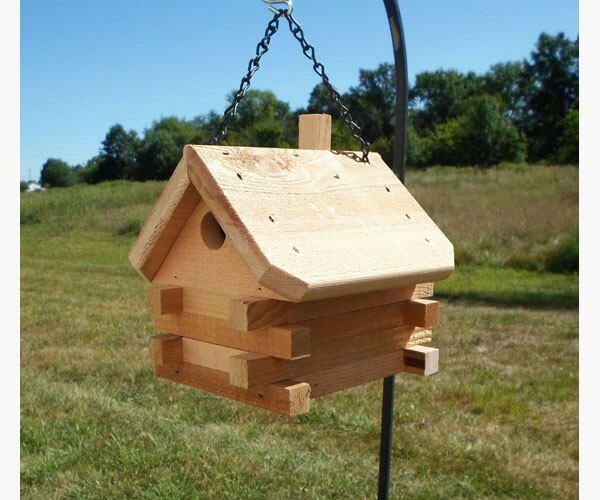 Red Cedar Log Cabin Wren Birdhouse-BEST PRICE! Welcome guests and wrens to the lake, cabin or cottage with this Rustic Cedar Log Cabin BirdHouse! Wrens have a tendency to build nest and abandon them if the female doesn't approve so you may want to buy more than one. Made of long lasting rough Red Cedar. Removable floor for easy nest cleanout.